The vineyards don’t do walk-ins like in Napa, the timed entry gives you a mandatory tour and tasting. 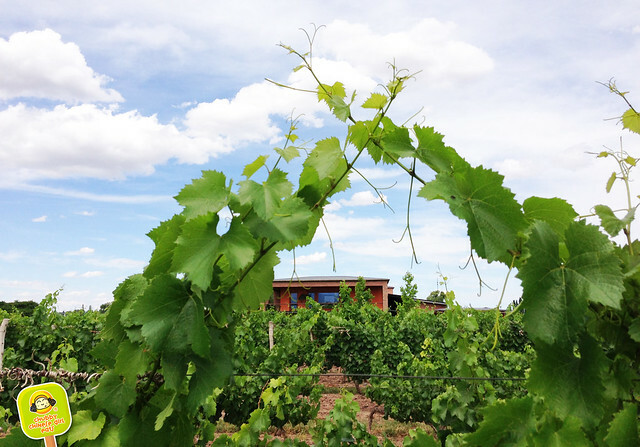 The pro is that you get a very intimate tour, learn a whole lot about each individual winery, but the flip side is that it gets repetitive after visiting a few. Time wise, we were only able to do 3 in a day. 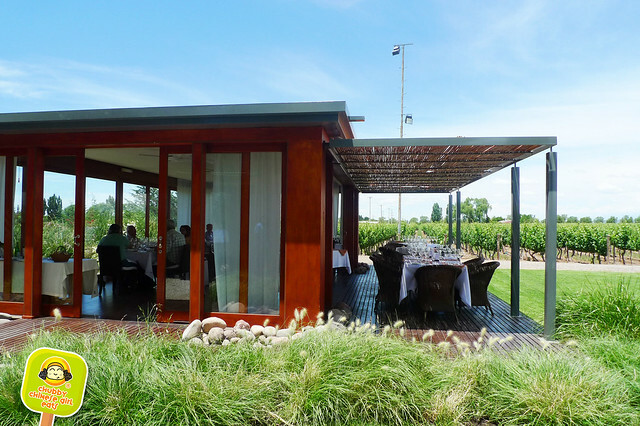 At Ruca Malen you can choose to do lunch without tour, since the wine tasting portion is tied to the 5 course lunch. I was overjoyed with our corner table! Everything was just so perfect. Our breathtaking view. 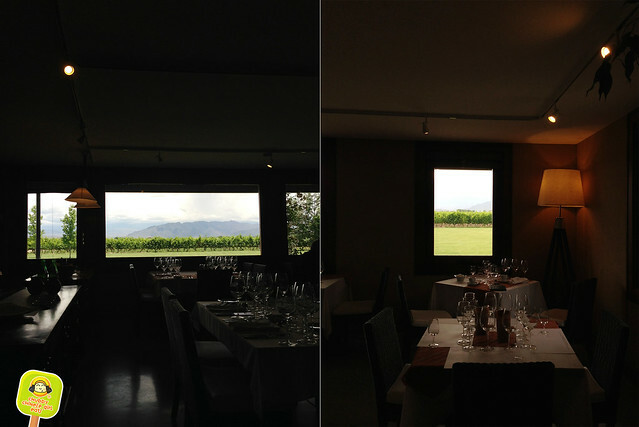 Vines on one side and the mountains in the background. Talk about stimulating all our senses. 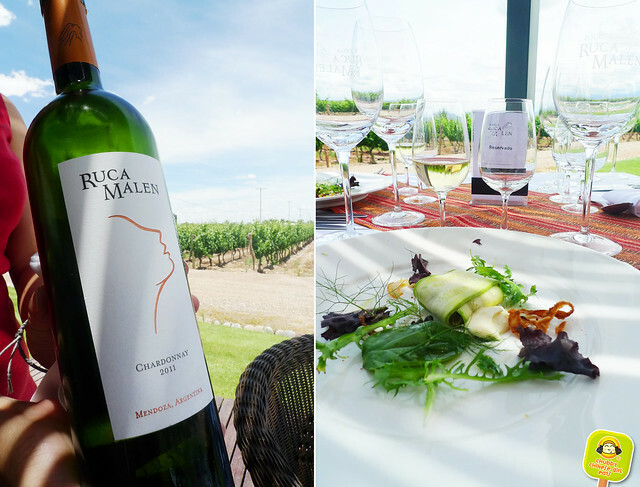 Wine Pairing: Ruca Malen Chardonnay 2011 100% Chardonnay. 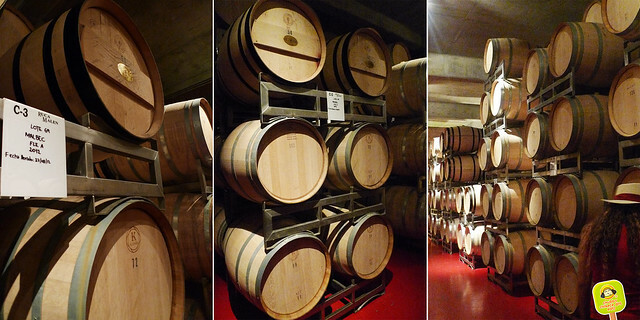 The 45% of the wine was barrel fermented in French oak, then aged in the barrels for 8 months. 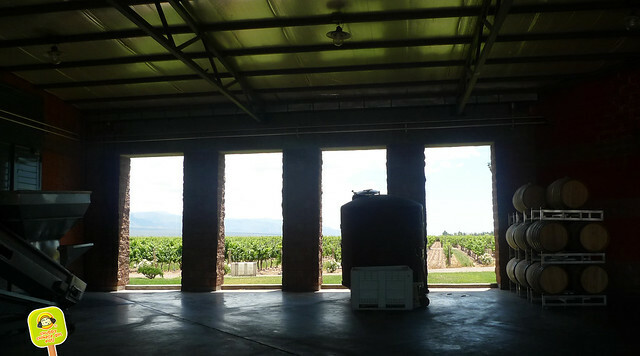 The rest of the wine is left in stainless steel tanks. The wine is then blended and bottled. The tender vegetables have just the right amount of grill flavor without loosing their natural flavors. The citrus aromas are brought out by the fragrant lemon cream and Chardonnay. 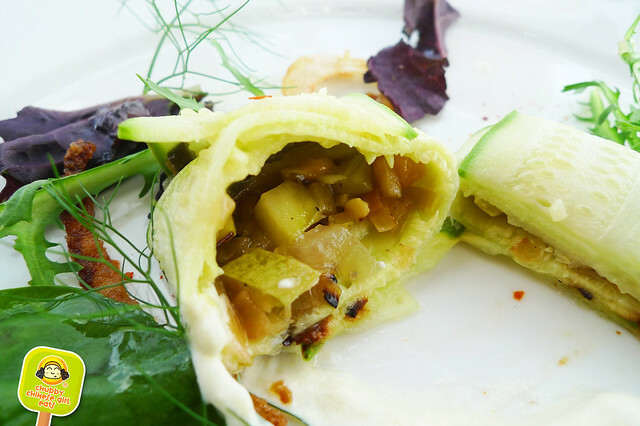 The sweetness and smokiness of the dish pairs well with the light but oaky wine. 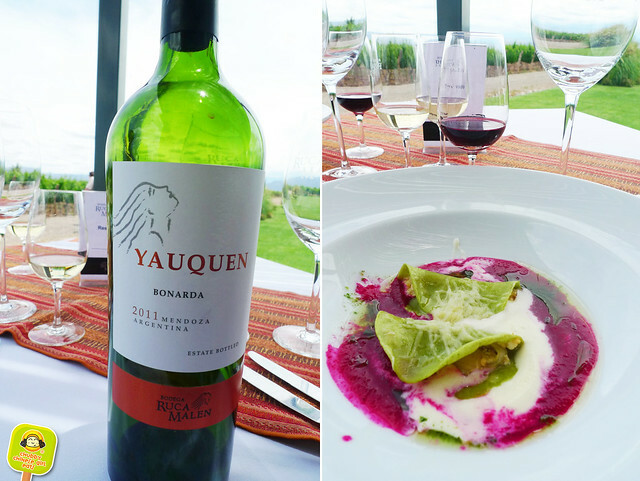 Wine Pairing: Yauquen Bonarda. 100% Bonarda. 30% of the wine is aged in oak for 6 months. This is a fresh wine, with red fruit and spicy notes. Typical of this variety. 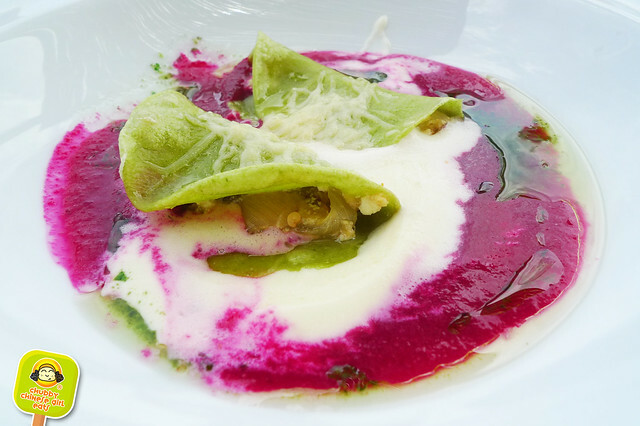 The unctious pasta and creamy base have a sweet note from the beets that is complimented beautifully by the soft tannins of the fresh wine. There’s smoky notes both in the dish and wine that go hand in hand. 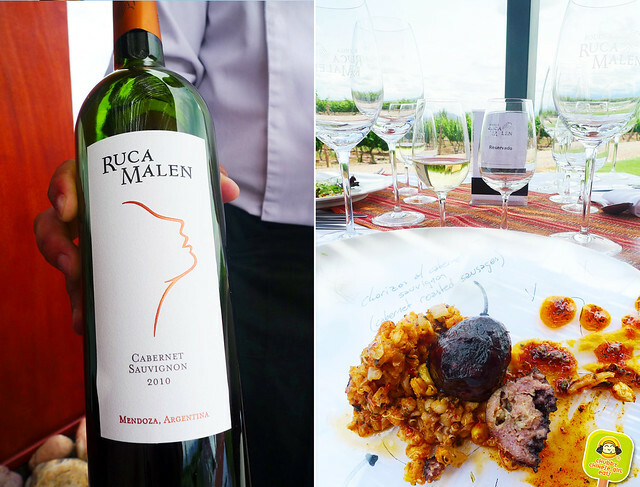 Wine Pairing: Ruca Malen Cabernet Sauvignon 2010. 100% Cabernet Sauvignon. Aged for 12 months in oak barrels (85% French, 15% American). Aged separately, then blended and bottled. One of most creative presentations I’ve seen. The glass “plate” has a sheet below, explaning all the components! How cool is that? Reminds me of my Momofuku Ko post. The chorizo is spicy and fatty in the best way possible. 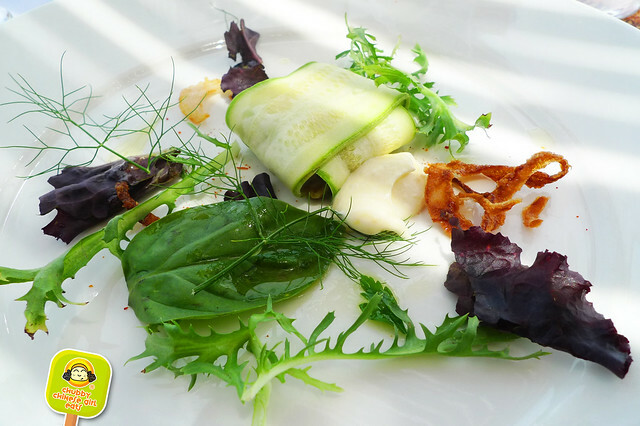 It brings out the fruity wine, while the acidity balances the dish very nicely. The grains are chewy and gives great texture in each bite. There’s that earthy note at the end. So good! 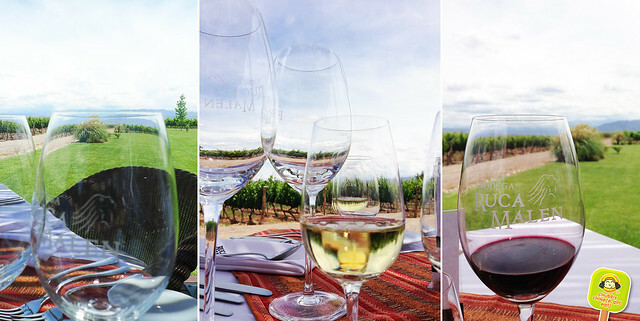 Wine Pairing: Ruca Malen Malbec 2010. 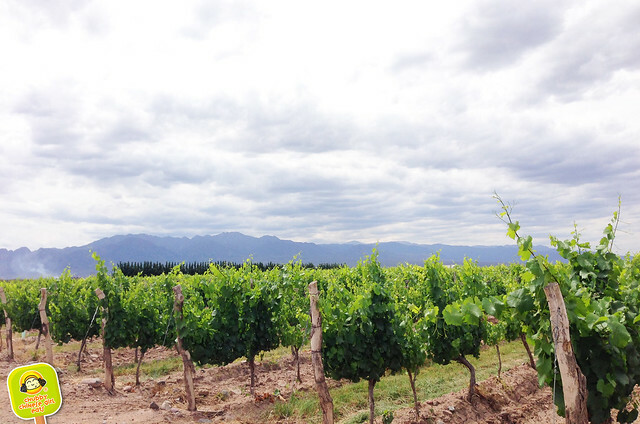 100% Malbec. Aged for 12 months in oak barrels (85% French, 15% American). Aged separately, then blended and bottled. 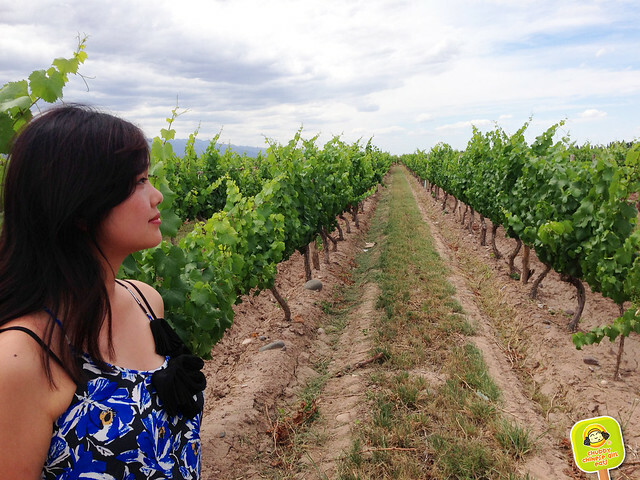 Kinien Malbec 2010. 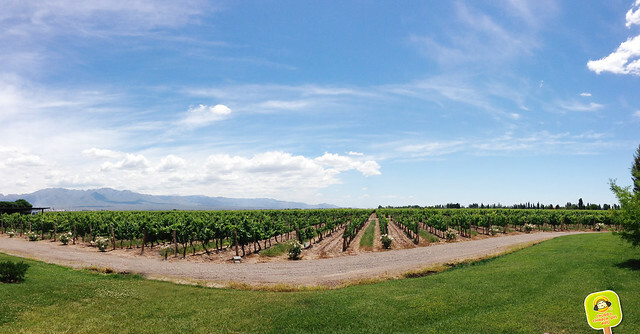 100% Malbec. Aged for 12 months in oak barrels (85% French, 15% American). Aged separately, then blended and bottled. The beef is medium rare. Juicy and tender. 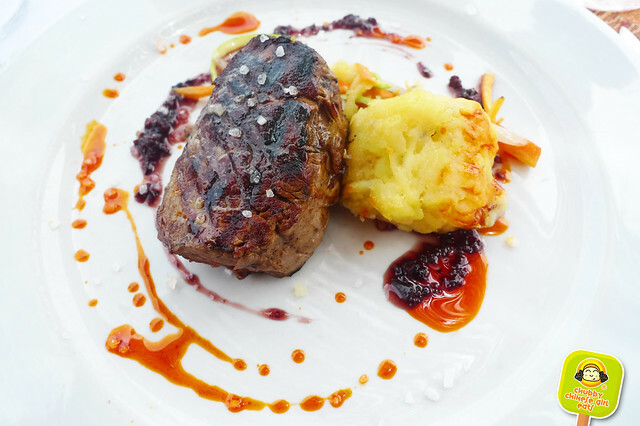 The Ruca Malen Malbec has floral/fruity notes that pair nicely with the texture of the beef. 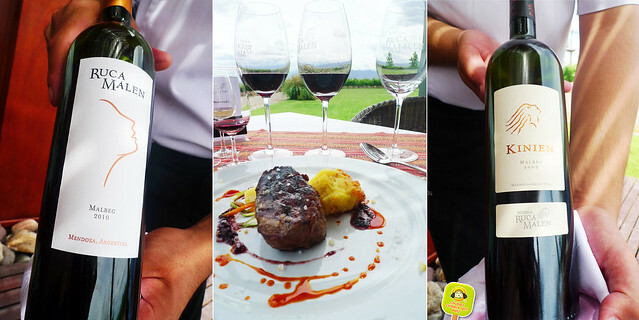 But my favorite pairing of the day (I love malbec) was the Kinien Malbec with the beef. That bold plum flavor with a real smooth finish, it was a perfect bite that also brought out the flavors of the olives. A hint of sweetness to tie it all together. I didn’t really care for the potato, but the careful sprinkles of sea salt were much appreciated. So bright and satisfying. 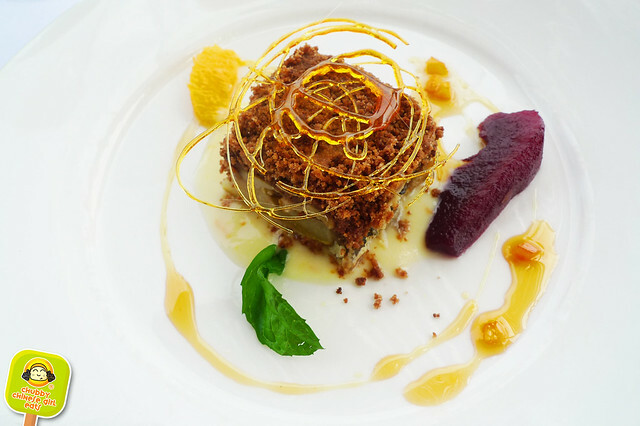 The burst of citrus in every bite, the soft grainy texture of pear and that crunch. 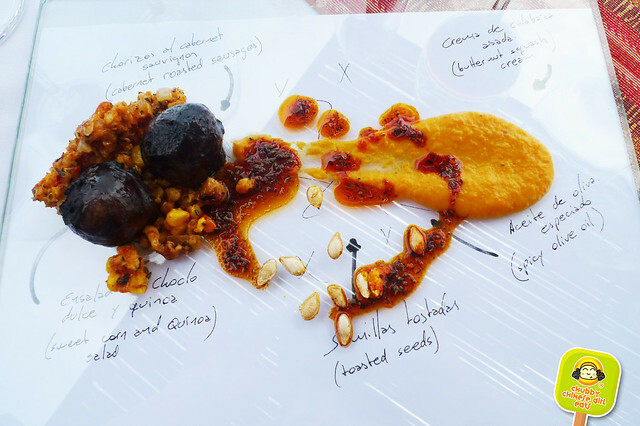 I love how the meal ended with luscious fruit flavors with just a hint of chocolate. The nectar of the fruit naturally sweetened the dish. Perfect with coffee. Price: 350 Pesos per person (about $70) this was totally worth it, actually a steal! I wish everyday could be like this, but that would just be selfish of me… And though it wasn’t the best food or wine I’ve ever had, the setting definitely put it over the top. Memorable.